In our area, wiper blades last about 3 months, depending on what your tolerance is. Some people can handle streaks and some people can’t. One person can get a little streak and it’ll drive them crazy. We’ll see other people drive in and we will marvel at them and wonder how they even saw to get to the shop. Let’s talk about Rain-X and other similar products. Yes, it’s nice when you first put it on your windshield, but when it starts to wear off, it creates a real problem. Namely, smears, you can’t see through it. 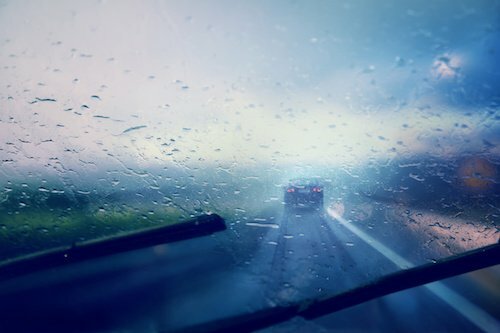 So if you use a Rain-X product keep in mind that you’ll have to reapply frequently or you’re going to have a real issue with seeing through your windshield. And wipers aren’t going help you, no matter how new they are. Schedule your next appointment at Tom’s Automotive Service now.